Spring is here. Time to get out and enjoy nature. The CBS News tonight featured a story about Blind Birding. Sensing Nature's Beauty in Sound, Scent, and Touch contains an essay from Donna Posont, the Group Leader of the Michigan Bird Brains. Interested in bird sounds? 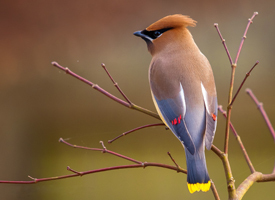 Check out the All About Birds Website which features recordings of many of our favorite birds.